Fundraiser by Roger Casale : We want an #EUGreenCard - a Green Card for Europe! 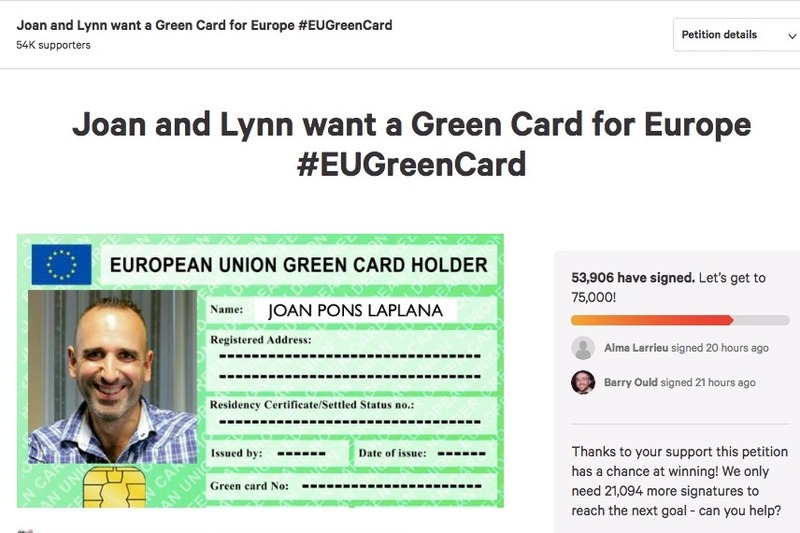 We want an #EUGreenCard - a Green Card for Europe! 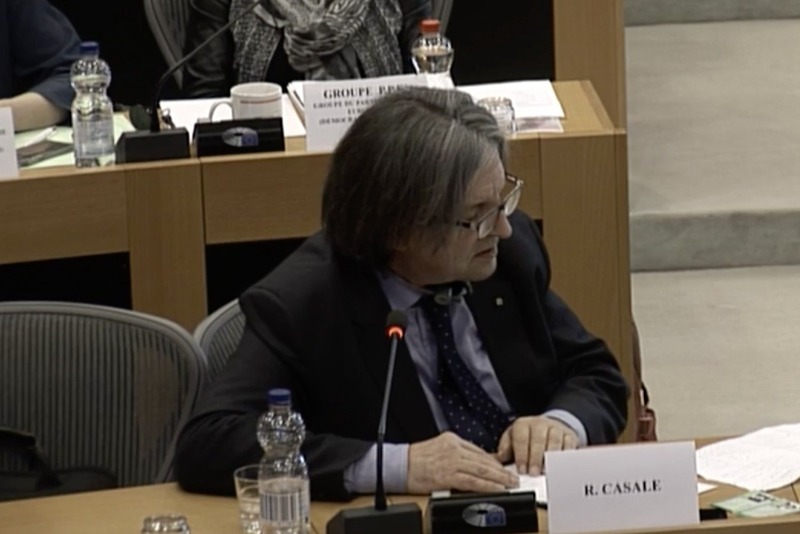 On Monday, 18 March 2019, Roger Casale, was invited to present the #EUGreenCard proposal to the Constitutional Affairs Committee of the European Parliament. The #EUGreenCard is a ground-breaking proposal, currently under consideration by the European Parliament and which has been looked at by the Home Office and which offers a solution to the 3 biggest questions facing #the5Million EU27 citizens in the UK and Britons in the EU post-Brexit. Q1 How can EU27 citizens in the UK prove they have 'settled status' in real life situations? An #EUGREENCARD would provide a physical proof of 'settled status'. Settled status is a digital marker and the system can not be accessed from an iPhone, for example. A Green Card should be issued to every EU27 citizen in the UK with settled status so that they can prove that they have the same rights to equal treatment as they had before. A typical situation might involve an EU27 citizen applying for a job or trying to rent a property and being questioned by the employer or the letting agent about their immigration status. The introduction of the card would be accompanied by a publicly funded awareness raising campaign. Q2 How can Britons in the EU keep their right to free movement? An #EUGREENCARD would guarantee the right of Britons resident in one EU member state to be able to work, love, live, study, marry or retire in any other member state, in other words to freedom of movement . To obtain an #EUGREENCARD, British citizens would need a permanent residency card of an EU member state. 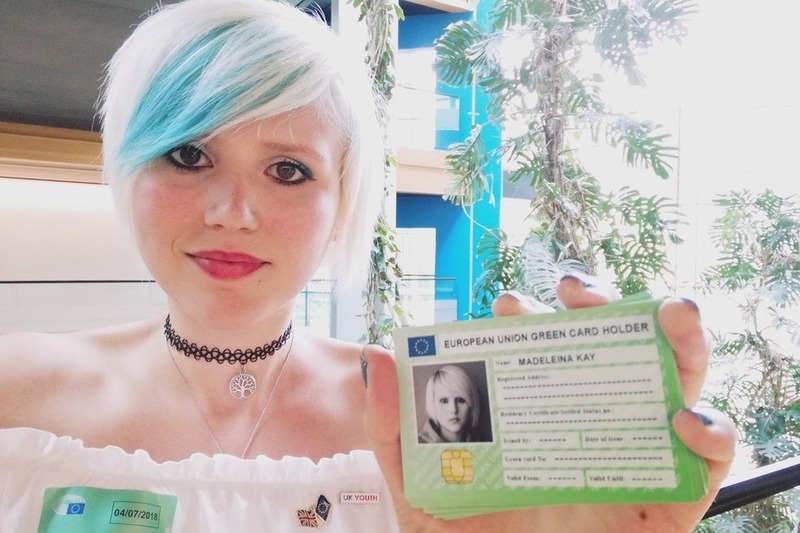 The #EUGREENCARD will then give them the equivalent status and the same rights as an EU national of one member state who lives and/or works in another EU member state. So for example a British software engineer who lives in Lyon would be able to take a job and move to Madrid without having to apply for a new residency status and permission to work in Spain. Q3 What happens it there is no Brexit deal? An #EUGREENCARD could be issued whether or not there is a Brexit deal. This is because the #EUGreenCard is neither an ID card nor a residency document but a proof of status. The British Government has said that EU27citizens will be given unilateral guarantees of their #rightostay even if there is no #Brexit deal. The European Commission has asked EU member states to consider making a similar unilateral guarantee to British residents if the UK leaves the EU in such circumstances. Eligibility for the Green Card will depend on the card-holder having permanent residency in one EU member state, whether or not that right is secured multi-laterally through the Withdrawal agreement or unilaterally by individual member states. The next three months are critical time because the ratification process of the Withdrawal Agreement in the UK and European parliaments provides the best opportunity to campaign for a commitment to the #EUGreenCard. As explained above, the #EUGreenCard does not depend on there being a Brexit deal. However, pointing to the shortcomings in the Withdrawal Agreement helps to make the case even more strongly for a Green Card for Europe. The European Parliament has made a commitment to protect the free movement rights of Britons in Europe and recognises the shortcomings of the 'settled status' scheme. However, the Brexit Deal does not guarantee the free movement rights of Britons in the EU. The agreement also fails to provide for EU27 citizens in the UK to be given a physical proof of their 'settled status' by the Home Office. There is a significant risk that the UK will leave the EU without a Withdrawal Agreement. Whether the UK leaves the EU with a deal or without a deal, it is vital that the European Commission is called on to bring forward a legislative proposal as soon as possible. it will take time to prepare for the introduction of an #EUGREENCARD along the lines we are proposing and do the sooner the Commission starts to plan for this the better. The appropriate committee to call for such a measure is the Constitutional Affairs Committee, chaired by Danuta Hübner MEP, the former European Commissioner for Regional Affairs. Danuta Hübner MEP (below) has already announced that she intends to call Roger Casale to give evidence to the Committee about the Green card proposal on behalf of New Europeans. It is expected that this evidence session will take place in February. Your donation will help make sure we prepare for the hearing in the best way. That means briefing the other members of the Constitutional Affairs Committee and also the Brexit Steering Group in the European Parliament with whom we have been in regular contact. We also need to continue to work with the European Commission and the Home Office to build up support and to create a consensus on the detailed arrangements for what we hope will become the first pilot of an #EUGREENCARD scheme. Our advocacy campaign is backed up by a public mobilisation of support through our change.org petition which has over 50k signatures. People are suffering unprecedented levels of stress and anxiety due to the uncertainty. Your support will give hope to the 5Million people whose lives have been thrown into limbo by Brexit and give New Europeans the resources we need to campaign for this outcome and to secure a result. New Europeans is an award-winning pro-European civil rights organisation which campaigns for the rights of EU27 citizens in the UK and Britons in Europe. In January 2017 we were awarded the Financial Times Future of Britain Award for a Green Card for Europe proposal and in March of the same year we were awarded theSheila McKechnie Foundation People's Choice Award following a public vote for our #RightToStay campign. We have won two further awards in 2018 outside the UK, including the Schwarzkopf Foundation Europe Award and the CIDAN/ESDA Award for our role in promoting European citizenship and human rights in Europe. Roger Casale is a former Labour MP and the founder and CEO of New Europeans. More information on the New Europeans website . 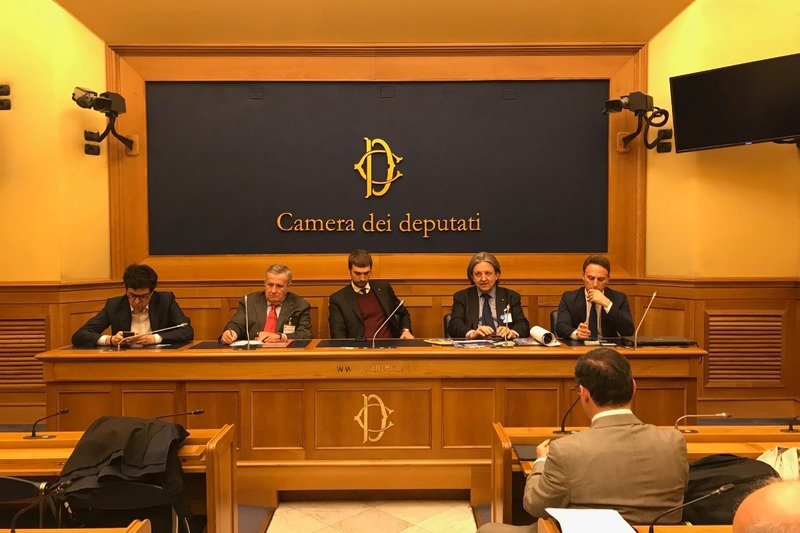 Following the success of our hearing at the European Parliament's Constitutional Affairs Committee las week, we were able to arrange a press conference at the Italian Chamber of Deputies. The press conference was organised by On.Massimo Ungaro from the Partito Democratico, who was elected to represent Italians abroad. He was joined by his PD colleague On.Piero de Luca, On.Alessandro Fusacchia from Piu-Europa and Senator Rafaelle Fantetti of Forza Italia. Ministro Giovanni Brauzzi from New Europeans Rome also attended and spoke at the conference. Further action is planned as a result of the meeting including a meeting with European Parliament President Antonio Tajani. We are really making great strides and I would like to take the opportunity to thank you again for all you are doing to help us deliver an #EGreenCard for #the5million. £5, £10 or £25 or whatever you can afford can really make a difference. It would help us to arrange a press conference like the one in Rome in another national parliament for example. The best way to support our campaigns is to join New Europeans as a member. I will continue to keep you updated about developments. Many thanks once again for all your support for our campaign for an #EuGreenCard. The hearing at the Constitutional Affairs Committee on Monday 18 March went really well and we will be called back for a further hearing in the new parliament. In the meantime the Committee will be raising the issue with the European Commission. Meanwhile in the UK we are in a momentous week (again) with respect to the chaotic Brexit process. I am still hoping that a way out can be found because the best way to protect the rights of EU27citizens in the UK and Britons in Europe is to stop Brexit. We have argued that there has to be a #compromise and our proposal to back May's deal in return for a confirmatory referendum is being taken forward in the form of an amendment to Meaningful Vote 3 to be tabled by Peter Kyle MP and Phil Wilson MP (please see my interview with Deutsche Welle attached). In the meantime, I will be going to Rome tomorrow to brief Italian MPs and the Italian media on the #EUGreenCard proposal as we work now to win support from EU member states. If you are able to contribute again to our crowd funder it would be really appreciated. I have other leads to follow up following the hearing in Brussels with offers of meetings with officials in Portugal and Spain - without your further support this may not be possible to arrange so please help us to meet our fundraising target. I am very pleased to be writing to let you know that New Europeans has been called to give evidence about the #EUGreenCard initiative to the Constitutional Affairs Committee of the European Parliament. The hearing will take place on Monday, 18 March at the European Parliament in Brussels. It would be great if you could help us prepare for the hearing by sending us comments and stories that show what the #EUGreenCard would mean for you. You have been incredibly generous with your donations and it has helped us to come this far. We are still £1557 short of our target. It would help enormously if you could chip in another £5, £10, £25 or what you can afford through this, our Go Fund Me page. There have been so many positive breakthroughs thanks to your support. We now want to see the campaign through now to a successful outcome. The best way to support New Europeans is by joining as a member (if you have not done so already). This will strengthen the legitimacy of the representations we make on Monday to the European Parliament. It would be particularly helpful to register a surge of interest and new membership registrations this weekend ahead of the hearing. Below you will find a link with the Draft Agenda for the Constitutional Affairs Committee hearing. I will be in touch again after the hearing. Great coverage on front page of EU reporter for #EUGreenCard campaign - thanks again for all your support. Do share the links and encourage others to chip in. And remember to write to Guy Verhofstadt MEP, Danuta Huebner MEP and Claude Moraes MEP if you have not yet done so - more details on the next update. Have a great Sunday - we will continue to keep you posted.